I'm really working hard at getting my blog into a place that I'm proud of and other people love. I do put in a lot of hard work and it does take up a lot of my free time. I absolutely love it so I don't really mind but there are times when I wish more people read each individual post. Well, after looking into it more, there are actually a lot more people than I think, reading my posts! Unfortunately, they're just not reading it via the blog so it doesn't count. There are two places that I have discovered where people had access to my blog posts in full. The first was via Bloglovin' where the whole article was available directly from their site and the second was via my mail subscription service. Bloglovin' is fairly easy to correct. It's simply an option under setting on your profile. The email was a whole other situation for me. 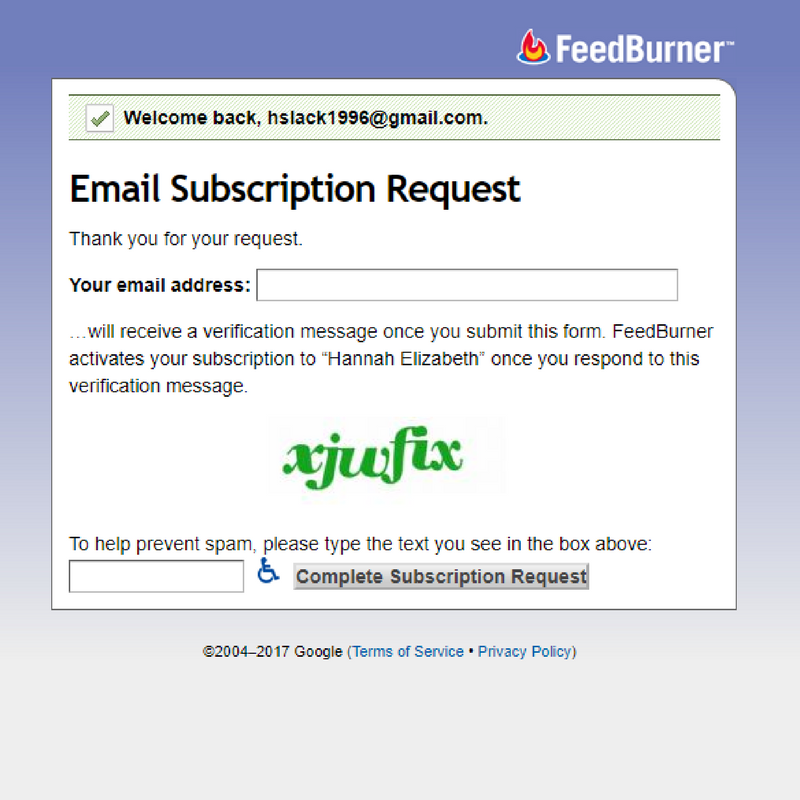 I didn't even know which email service I was using or that it could be changed! 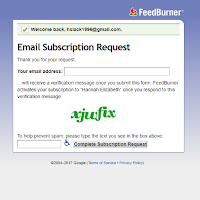 After some searching, I realised that Blogger's automatic email subscription service is through Feedburner. I subscribed to my blog via my own personal email address, so I've always seen what came through but I never really put two and two together. Once I realised that people wouldn't click on the link because the whole post was available in their inbox, I knew this needed to be changed. I'm actually really happy with how it looks now! In the before, I quite simply had the full blog post, none of the updates to my blog itself and had left all the settings in the basic way they come originally. 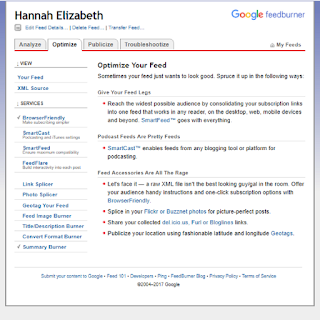 All the settings are available from your FeedBurner account profile. To find this, simple go to the site and log in with your Google Profile details which should be the same as your Blogger log in details. You'll then have to click on the feed option you want to update (if you have multiple blogs) and then you will be taken to the following page. All the settings are accessible on this page. Of course, the most important thing was to make sure that the full blog post was no longer available to read in full. This was actually quite simple to do. I personally felt it was important to change the wording of the constant sentence. I can't remember what it was originally but there wasn't an option to add "Read more" as a clickable section so instead I told my subscribers in that section that in order to continue to read the post, they needed to click on the blog post title, which was linked via a click to the post itself. 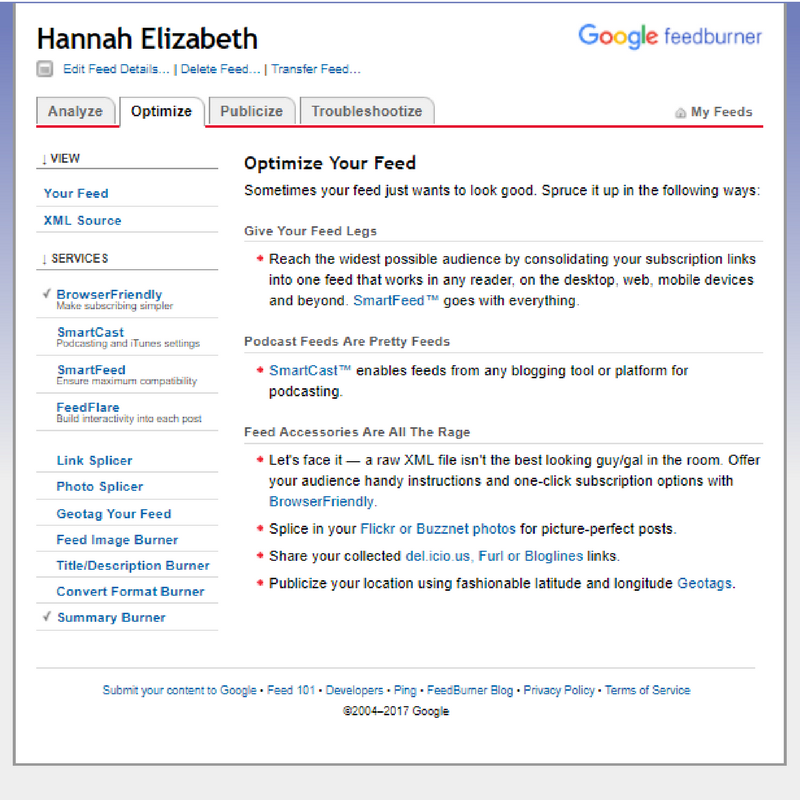 Once that was completed, I needed to change the title of the email to the new blog name of "Hannah Elizabeth" rather than "Surviving Medicine". As I was there, I explored the options a little bit further and found the option for changing to theme of the email. I changed the colour scheme to match my blog's theme and I actually love it. I thing it's now a lot more personalised and consistent with my blog. Finally, I found the option for the time that the email goes out. Previously, I had always woken up to an email or it had come early morning. Well, as my posts always go live at 5pm GMT, why not let subscribers get the email as close to that time as possible? So that's what I did. The emails now go out between 5pm and 7pm GMT. After all that was done, I was curious as to what people actually saw when they clicked on the subscribe button. Turns out, it looks like this which isn't all that nice, so my next task will be to figure out to change that! Having said that, if you haven't already subscribed to this blog, I would absolutely love it if you did. Don't worry, you won't be bombarded. You will literally only get an email when a blog post is published. Are you already subscribed? If not, subscribe here! This works so much better!